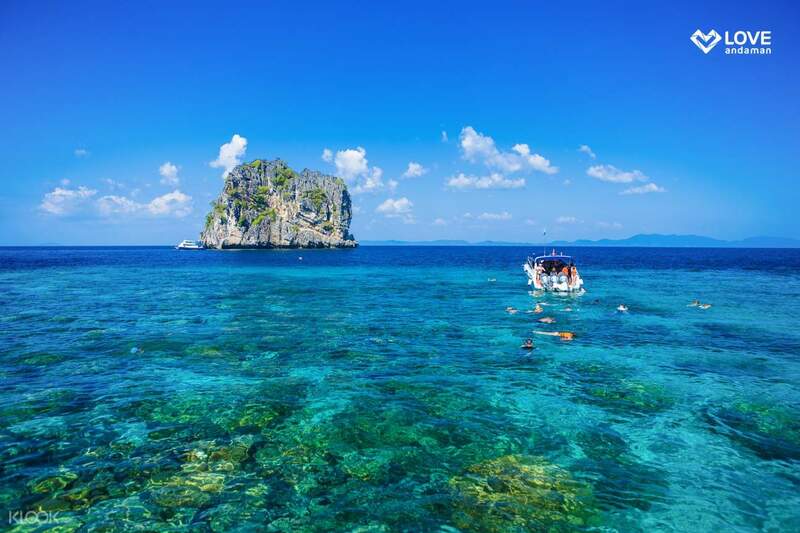 Visit the famous Rok and Haa Islands, some of Thailand’s best-kept attractions! Travel with ease and be picked up and dropped off at your hotel, with breakfast and lunch already included! 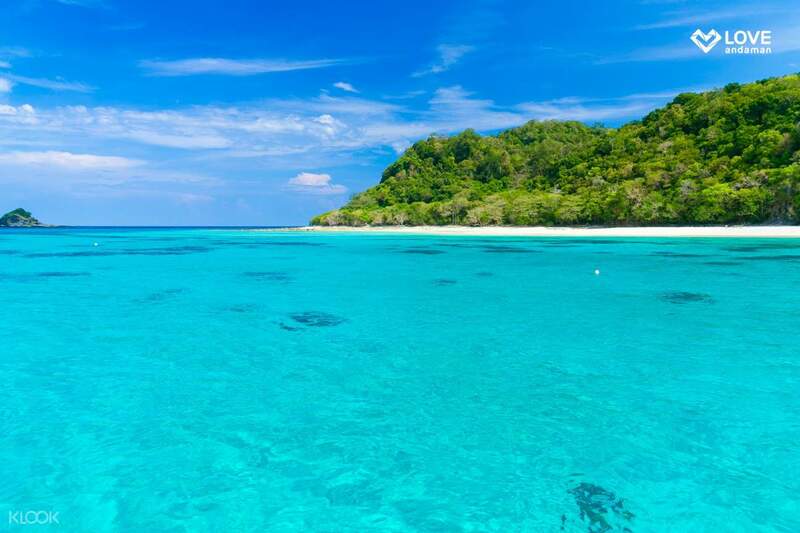 It’s no secret that Phuket is home to some of the most amazing beaches in the world, and two islands you shouldn’t miss are Rok and Haa Islands. Visit these two wonders via speedboat provided by Love Andaman tours and enjoy a seamless island hopping trip in one day. 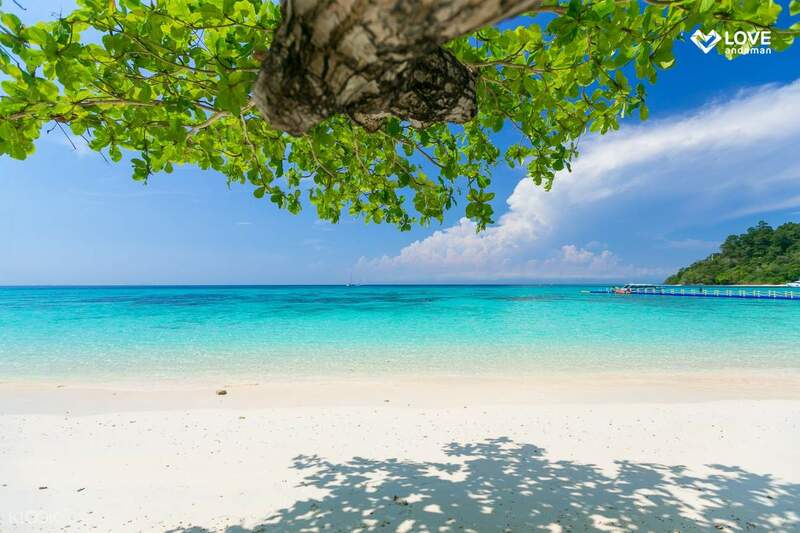 Give your body a beautiful tan when you lounge at Rok Island’s gorgeous beach, and savor its powdery-white sand and crystal clear waters. By noon, make your way to Haa Island and explore an equally beautiful marine world underneath, packed with jaw-dropping corals and colorful fishes. Light breakfast and lunch will also be provided as well as pick up and drop off services at your hotel. Make this one-day tour the highlight of your vacation when you visit Phuket! Fantastic day out exploring some of Phuket's far-flung (and therefore relatively well-maintained from a tourism perspective) islands. Well-organised tour with a very energectic and friendly trilingual lead guide (Thai, English and Mandarin). Both Rok and Haa Islands are stunning turquoise-blue bases for snorkelling, with a choice given at the first stop to beach or snorkel. Second stop had even more impressive snorkelling than Rok Island as was located further out to sea in deeper water. Only piece of constructive feedback would be to shorten the lunch break after the first stop as it was nearly 1.5 hours! Could easily shorten so there is more time for snorkelling at Haa Island, which was limited to 30 minutes. Oh, and the "insurance photo" you take before boarding the speedboat is a photo they try and sell to you at the end FYI 😉 Overall a fantastic day out and highly recommended. Fantastic day out exploring some of Phuket's far-flung (and therefore relatively well-maintained from a tourism perspective) islands. Well-organised tour with a very energectic and friendly trilingual lead guide (Thai, English and Mandarin). Both Rok and Haa Islands are stunning turquoise-blue bases for snorkelling, with a choice given at the first stop to beach or snorkel. Second stop had even more impressive snorkelling than Rok Island as was located further out to sea in deeper water. Only piece of constructive feedback would be to shorten the lunch break after the first stop as it was nearly 1.5 hours! Could easily shorten so there is more time for snorkelling at Haa Island, which was limited to 30 minutes. Oh, and the "insurance photo" you take before boarding the speedboat is a photo they try and sell to you at the end FYI 😉 Overall a fantastic day out and highly recommended. The snack bars are great, could have improved more on the lunch buffet, little to choose from. The islands are pretty yet water at haa island is not clear that day. The snack bars are great, could have improved more on the lunch buffet, little to choose from. The islands are pretty yet water at haa island is not clear that day. Tour company was great, couldn't fault them. However, despite the trip being long and promises of amazing coral and fish, the snorkling was very bad. only saw the fish pictured from 3 snorkling spots and approximately 3 hours in the water. haa island water was quite murky. Tour company was great, couldn't fault them. However, despite the trip being long and promises of amazing coral and fish, the snorkling was very bad. only saw the fish pictured from 3 snorkling spots and approximately 3 hours in the water. haa island water was quite murky. Ko Rok is 1 of the best beach in Thailand. 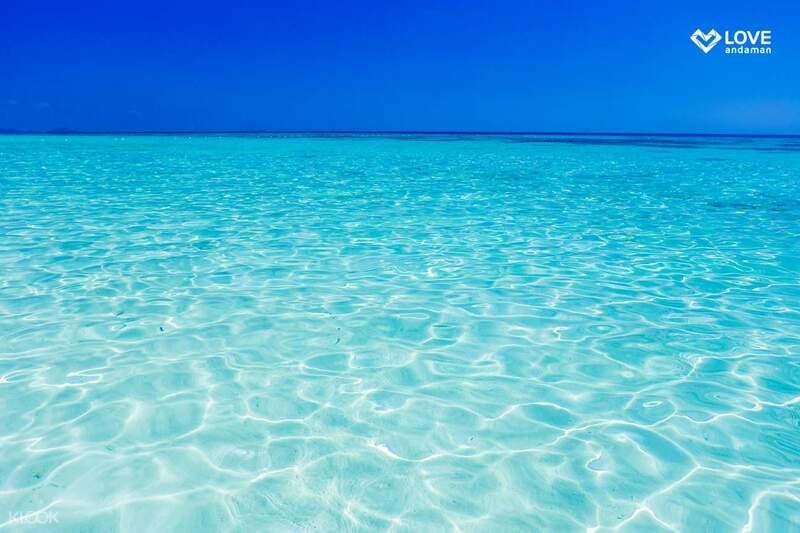 White sandy dunes and crystal clear blue water. The salinity of the water is also not too bad. I can even open my eyes in the water to look at fishes and sand bed. Ko Rok is 1 of the best beach in Thailand. White sandy dunes and crystal clear blue water. The salinity of the water is also not too bad. I can even open my eyes in the water to look at fishes and sand bed. The pick up time is punctual & meal arrangement is good , if you are person who prefer clean & comfy this package is very suitable for you. The pick up time is punctual & meal arrangement is good , if you are person who prefer clean & comfy this package is very suitable for you. Very good arrangement and glad the weather is nice when we go there. Have used KLOOK many times for trips and never disappointed! Will recommend! Very good arrangement and glad the weather is nice when we go there. Have used KLOOK many times for trips and never disappointed! Will recommend! This is a must go item in Phuket, love the tour guides who took stunning photos for us. The food was good. Very well planned and will recommend my friends to join this tour with Love Andaman! This is a must go item in Phuket, love the tour guides who took stunning photos for us. The food was good. Very well planned and will recommend my friends to join this tour with Love Andaman! One of the best beaches I have ever seen!the ocean is as clear as a pool, We booked speedboat this time and enjoyed the other islands close by as well. One of the best beaches I have ever seen!the ocean is as clear as a pool, We booked speedboat this time and enjoyed the other islands close by as well.